When an athlete “chokes” under pressure it can affect the rest of their performance. It’s a cause and - effect reaction influenced by cognitive and psychological factors. In this episode of SciTech Now, we visit the Human Performance Lab located at the University of Texas at San Antonio (UTSA) where a professor and his team of students are conducting research on human movement, athleticism and performance using the Vicon Motion Tracking System, which includes an advanced eye -tracking system for gaze behavior analysis. Assistant kinesiology professor, Dr. William Land, heads the Human Performance Lab where he and his team of students are researching various ways to enhance human performance with athletes. A number of factors are studied to enable athletes to perform better under pressure. The findings have resulted in an in-depth look at focus, or concentration. Whatever the athlete is internally focused on or thinking about during the action is imperative to the results. Focus to attention is linked to motor skills and the mechanisms of memory, brain and muscle activity. Experiments conducted have shown to help right- handed people perform better with their left hands. This has led to other opportunities outside of sports. 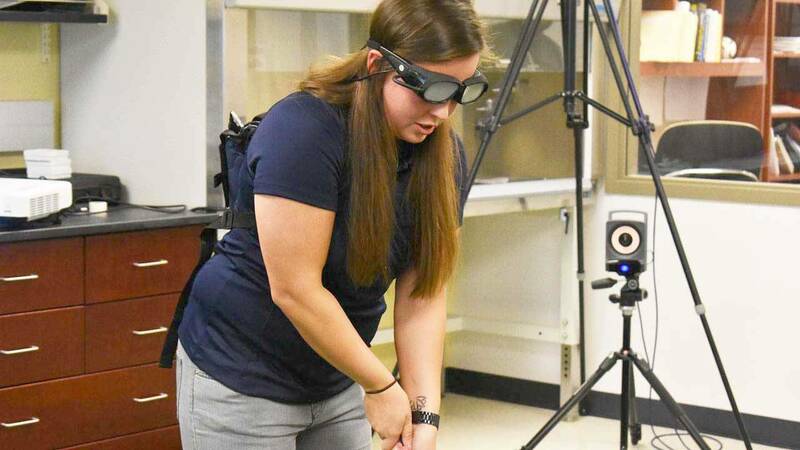 The possibility of helping stroke victims with rehabilitation has been considered by understanding how motor skills can be taught based on brain activity. Using the same testing as the athlete, the stroke victim can imagine moving a limb in order to see what areas of the brain are unaffected. As opposed to other expensive and invasive treatments, this can pinpoint pupil dilatation linked with brain activity reducing the cost for more evasive treatments such as MRI’s. Learn more in this episode of SciTech Now airing Friday, Jan. 6 at 7:30 p.m. on KLRN.